9ct yellow gold heart shape stud earrings with diamond set centres. Girlie earrings for everyday style. 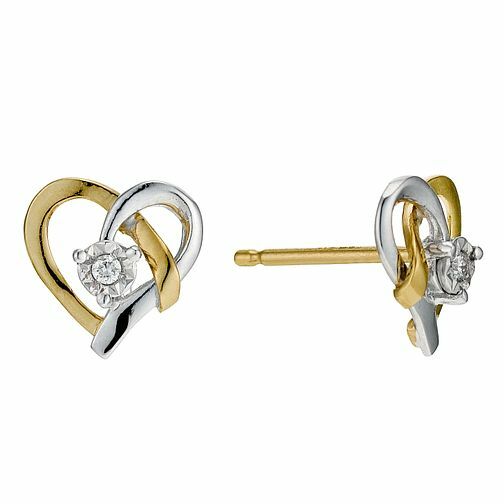 9ct Yellow Gold & Diamond Heart Stud Earrings is rated 4.8 out of 5 by 11. Rated 3 out of 5 by Anonymous from Size Although they are not as big as they look in the picture they are still very nice.